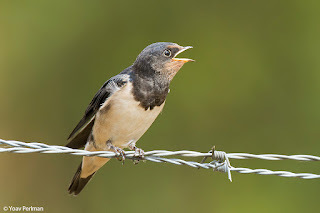 Yesterday was Global Big Day, organised by eBird. 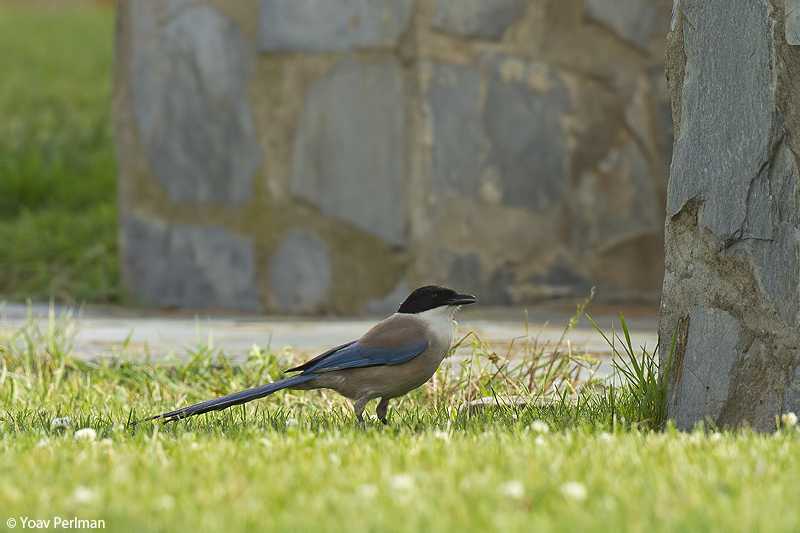 As we are working in southern Extremadura, we opted for a local big day. Our team included my two assistants Dan and Re'a, and our good friend and ace local birder Fergus. We had planned a route that will give us enough time to look for the typical birds of each main ecosystem / biome in southern Extremadura - steppe, woodland and wetland. I was the driver and eBird checklister. I eBirded all birds we saw, which also helped us to keep track of species and know our daily total. Despite staying local in Badajoz, we still drove over 600 km and it was a loooooong day. I had very few photo opps - that's how it goes on big days. We started at dawn right outside Merida, at Esparragalejo and Montijo dam. 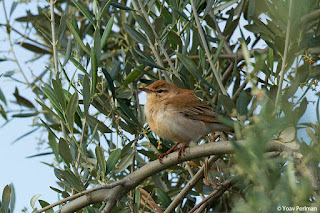 Picked up most herons and resident waterbirds pretty quick, and first quality of the day came in the form of three singing Western Olivaceous Warblers at Montijo. We then drove south and checked the vineyards and olive groves south of Almendralejo. Our main target there was Rufous Bush Robin. Was really good to see - our first of the trip. 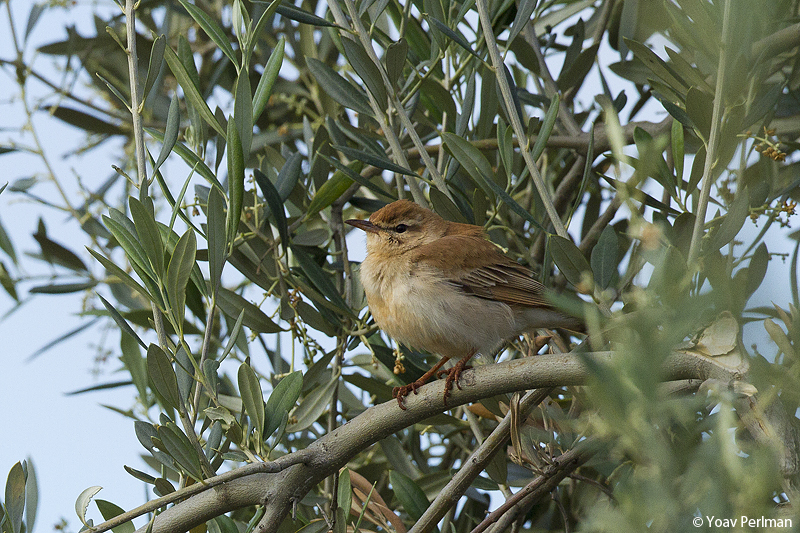 They are so nice and rufous here, much brighter than the syriacus we get in Israel. A fine bird and a bimbo for Dan. Then we moved on to the Hornachos - a mountainous Dehesa region. We did spend several hours there, and racked up most important species. Highlights included Western Orphean Warbler (as well as Dartford and Subalpine), Spanish Imperial Eagles, Black Wheatears, 4 Chough and couldn't find Cirl Bunting, again! Hornachos were hard work, and we did work hard for almost every species we needed. But eventually our day list increased there considerably. I missed a viral photo opp - this chicken swallow was waiting to be fed by its dad, who chose to feed its sibling to the right. We then headed over to the steppes of La Serena. It was already early afternoon, but luckily yesterday was a rather cold and overcast day, so bird activity was alright. We knew the area well after working there in recent weeks, and we got our targets fairly quickly - both bustards and both sandgrouse. It took us depressingly long to get our first Roller - so few of them around. This Calandra Lark sat still for just long enough for me to pap it. After La Serena we headed north to Santa Amalia ricefields, via some embalses (dams). We were very disappointed with waterbirds - no new shorebirds or ducks. No migration at all. Along the way we did pick up some more random species. Azure-winged Magpie is very common everywhere but I hadn't had a chance to get a photo till yesterday. 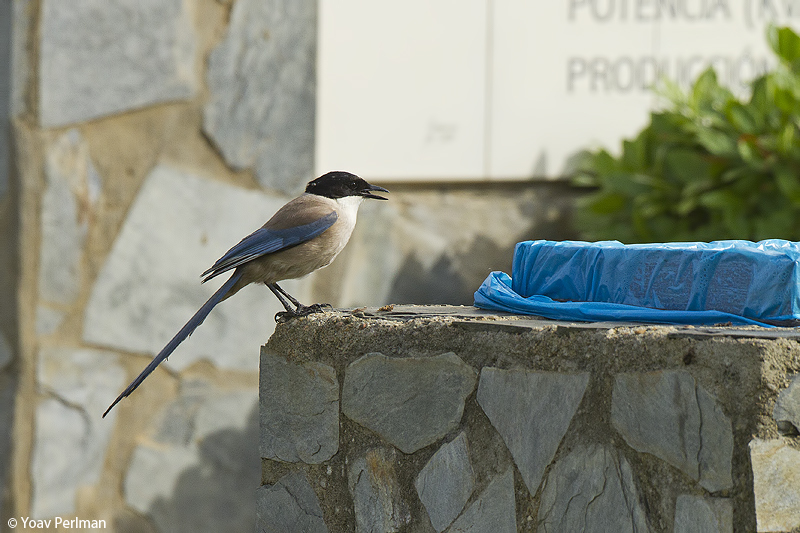 Here it's true nature is exposed - a trash bird. But I still really like them. 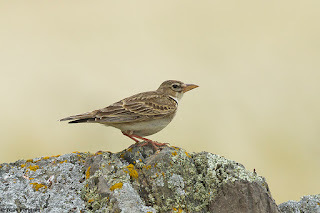 We then headed down to the Guadiana river valley where we checked a couple of spots and added missing species such as Savi's Warbler and Little Bittern. 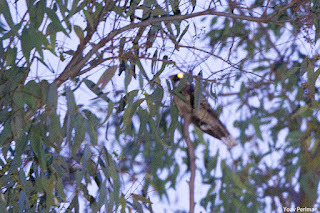 After dusk we searched for owls and nightjars south of Don Alvaro. 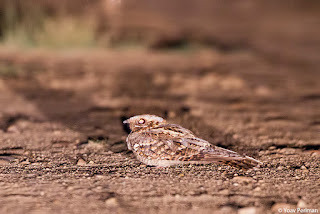 Owls didn't play ball but Red-necked Nightjars put on quite a show. We had four singing males. One male flew up to a large Eucalyptus above us and started singing its somewhat manic 'tok-tok-tok...' song. 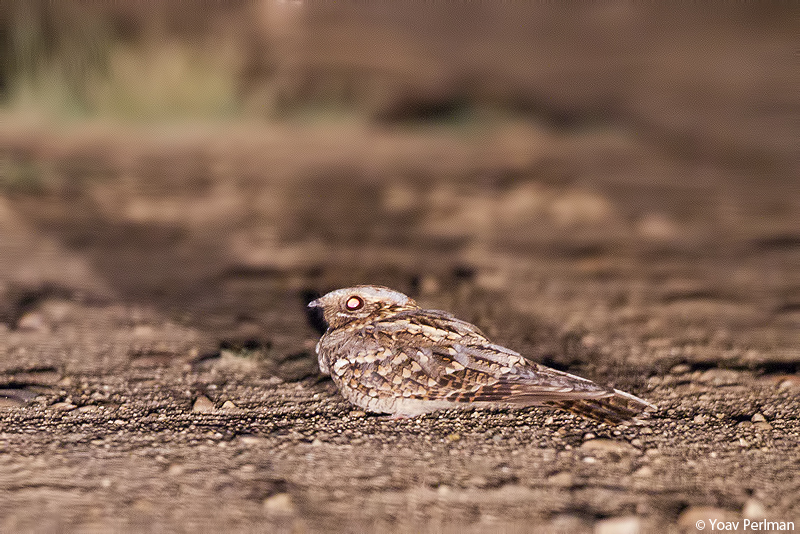 Then I got a more standard photo of another on the track - too distant so light was very weak. We ended the day drinking beer on Fergus's balcony, listening out for owls. No owls came, but the beer was cold and the night was very pleasant. A lovely way to end a terrific, yet extreme and intensive day. It was hard work all day, nothing came easy. 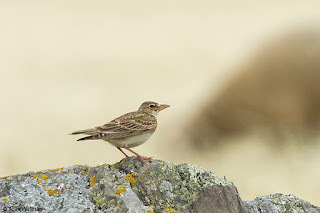 There was a complete absence of migrants - landbirds, shorebirds and ducks. Still, our daily total was 127 species - not too shabby I think. Huge thanks and appreciation to my team mates Fergus, Dan and Re'a. They all worked hard, found top birds and maintained high spirits all day long. Till next year!